Leeds-based PR and social media agency, Prohibition, is celebrating a record year that has seen it double in size, move to larger offices, and appoint a new board director. Following a number of new high profile business wins, including the UK’s largest wholesaler of floristry supplies and artificial flowers, Country Baskets, and national market leader in sustainable housing, Keepmoat Homes, the agency has doubled in size to eight. This includes the appointment of Will Ockenden as board director. Will previously ran the Sydney office of Leeds-based PR and social media agency, Lucre, and prior to that worked at a senior agency level in Leeds. He will be responsible for developing Prohibition’s professional services and B2B offering. He will also work to commercialise Prohibition’s self-published online student magazine, Student Wire, which is currently the third-largest magazine of its kind in the UK, with more than 60,000 readers. The magazine forms the core of Prohibition’s growing student and youth marketing division. Other key hires include Rebecca Wharmby, former PR executive at Disney who joins as account executive and Adam Worral, a professional journalist, as content manager. 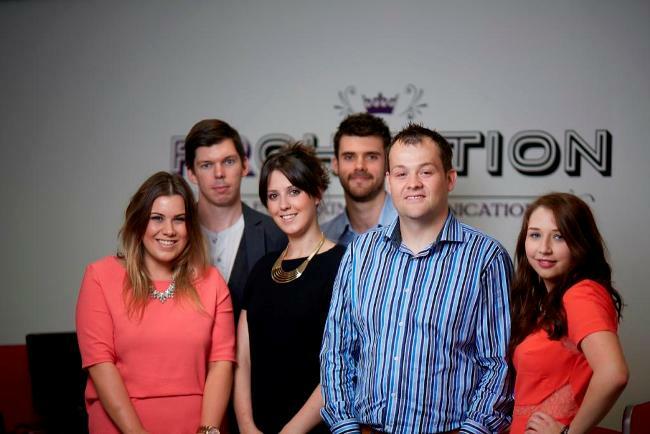 This month has also seen Prohibition relocate to a new, larger office, based in Chapel Allerton. “The last 12-months have been extremely eventful; we have achieved real success when it comes to delivering non-traditional PR services such as content marketing, online influencer engagement and social media eCommerce services. “As such we have experienced strong growth, and have invested heavily in people and technology to ensure we continue to deliver outstanding work. “We won the Best Use of Digital Award in November and we plan to enter several of our campaigns this year too.